Did you notice? What? Notice what you are asking, right? Well, there is a new book added to the group to the right, casually scrolling by, flashing for your attention. Flashing, get it? Flash Fiction has switched from Fall (Autumn) to Winter 2013. With this switch the latest book, ‘Finding the Path’ was released from Redmund Productions, just recently (a couple of weeks ago actually). I love the cover; in fact, I think it is my favorite to date. ‘Finding the Path’ is available in paperback, Kindle, e-pub and PDF, there is simply no reason not to grab your copy! I had a great time writing to the Fall words; directionally challenged I had fun writing to all the directional words, often having to think about what they meant in everyday life and how to adapt them to stories. The other authors in the book this time took many different directions (get it?) including excellent Sci-Fi. I love this one; it is an excellent example of Micro Fiction from some truly creative authors. Of course, it doesn’t hurt I made the cover! I feel like I made the cover of Rolling Stone, I feel like a rock star! 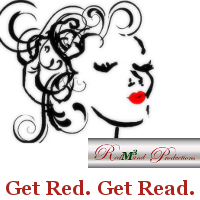 Flash on over to Redmund Productions and grab a copy of your own. Grab the entire series while you are there, I did and am giving them as gifts to family and friends who love to read. Bravo Valentine, take a bow. Love Monty Python, raised my sons on the wonders of the Flying Circus. You do know you can simply change the password, right? Congrats, Val. You ARE a rock star!! Why thank you my friend. I think I might just be a back-up dancer, but I will take confirmation where I can get it. Once I was convinced to try my hand at flashing (get your mind out of the gutter) I became addicted. Now I get to say egotistical things like, “I feel like a rock star”. I think this is my favorite cover. You ARE a rock star,Val. What an imaginative presentation of you and the B.I.G. cover behind you. I just love the cover for this one, don’t you? Red did an excellent job on the cover art, had to make it the big part. Wow! I’m connected to a genuine celebrity! All the authors in the book are Rock Stars. So many good ones. I am just persistent and actually wrote to all the words. Luv you right back. Thanks, makes me want to put another good song up. We will Rock you! I’m trying to buy the Kindle version, but I’m having some trouble having it pull up my Pal Pal account. Is it on Amazon? If not, I’ll try again later. It is an awesome cover isn’t it? Red did that one, she gets full credit for the Cover Art. Redmund Productions made a business decision to remain fully independent, so the cooperative remains able to pay their writers. Going to Amazon cuts to much. There shouldn’t be a problem with Pay Pal, this is the preferred method of payment actually. For some reason, it’s not taking my Pay Pal username and password. Not sure why. I’m trying to get the Kindle version. Maybe it’s only available in paperback? Back at you on both counts! Check Carrie’s comment above, please. That’s awesome, Val! Congratulations! You are such a fine writer, my friend. Hope all is well down (up) where you are these days Kathy. Thank you so much. Hugs right back, doubled. Awww, thank you Frank. Love the fireworks.